We are proud to share that the Pace Development Group team won two awards at the 2018 MAME Awards (Major Achievement in Market Excellence), an annual event presented by the Home Builders Association of Greater Charlotte. PDG was recognized with the Gold Award for Best Community Amenity for the Tree Tops Cabins, and received a second Gold Award for Best Logo for the Nims Village project. Awards: NCHBA "Distinguished Builder Member of the Year"
We are honored to congratulate Principal Brian Pace on his recent recognition as Distinguished Builder Member of the Year by the North Carolina Home Builders Association. The North Carolina Home Builders Association presented nearly 50 prestigious STARS awards at the annual STARS Awards Gala on October 12, 2017, at the Omni Charlotte Hotel. The STARS Awards program honors the achievements of home building industry professionals from North Carolina and surrounding states. 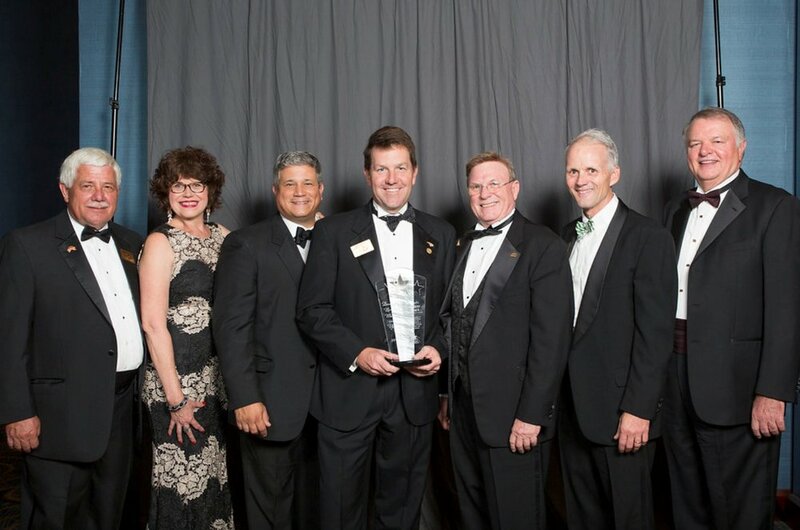 Brian Pace of Pace Development Group in Charlotte NC, was named the Distinguished Builder Member of the Year. Pace is a member of the HBA of Greater Charlotte and is the immediate past president of the North Carolina Home Builders Association.